Mermaid Beach treasure, Little Truffle has a modern Australian cuisine with flavours accentuated from the regions of Italy, Spain and France. Book out the private dining room for a cosy dinner party with you and friends. Brand new Asian dining in Broadbeach, this restaurant is certainly worth the try. We recommend the Pork Bao and cocktails! Located in the Oracle Precinct, not far from Elite Holiday Homes. Dine here for dinner sharing tapas with a group prepared by an award winning chef. 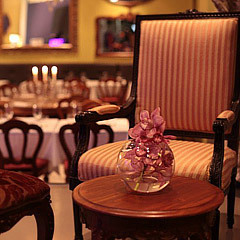 With live acoustic music, this restaurant has a perfect atmosphere for a relaxed, social meal. Specialties include the tapas plates, cocktails and steak. Becoming one of the most popular places to dine, Gemelli serves up homemade pizza and pasta in a rustic-chic restaurant.